We are looking forward to our annual Open Garden on June 29th and 30th from 10 am to 4 pm. As always there will be tea, coffee and delicious cakes. We also plan to have a raffle and plant sale. So there’s lot to look forward to. 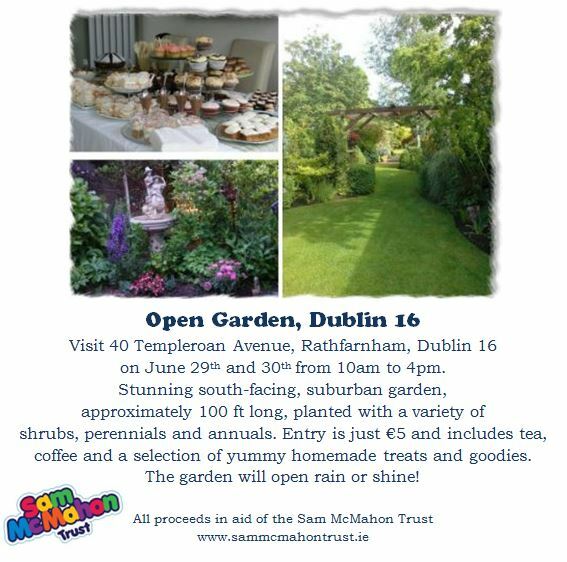 The garden will open rain or shine and is located at 40 Templeroan Avenue.